For Christmas I wanted to make shortbread, which is always appropriate at this time of year, but I wanted it to be a little bit special. I’m a bit unfair posting this recipe now when all the lavender has gone for the year, but perhaps like me – you collected some for drying and have some on-hand. If not, then I suppose this idea won’t be too relevant. 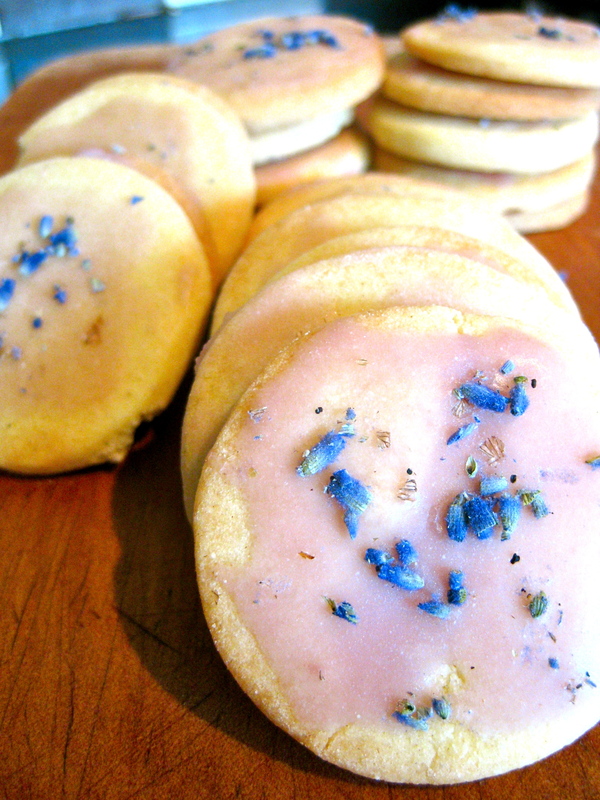 My favourite shortbread recipe is a Martha Stewart one, and I simply made round biscuits and glazed them with a mixture of icing sugar, lavender syrup, water and purple colouring. I then sprinkled some chopped, dried lavender flowers that add a lovely kick of lavender fragrance. To make your own syrup, why not keep things consistent with this easy-to-follow Martha Stewart recipe, or buy some online. Put all the ingredients into a mixer and mix until just combine. You can also use a bowl and a wooden spoon. Roll out and cut circles or cut into traditional rectangular bars. Bake till just going golden around the edges. Cool and glaze with lavender.